I just love a good sale! I ran across boneless skinless chicken breasts the other night in family size packages for $1.59 a pound. I don't know what chicken is selling for in your neck of the woods, but here that's about a $3-$4 a pound savings here and they are gorgeous, big and plump. For the two of us this will make 6 meals! Now I just have to come up with 6 new recipes. This is the year I promised myself to clean out my "recipe" files and not make recipes I've already tried. Hubby is being an awesome 'guinea pig'! Salt and pepper chicken generously. 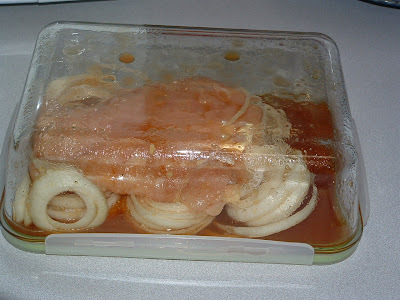 In a large leak proof container layer chicken and onion rings loosely. Whisk together remaining ingredients until well blended. Chill for 4-6 hours or overnight, turning every 30 minutes or so. Drain off marinade, but retain. 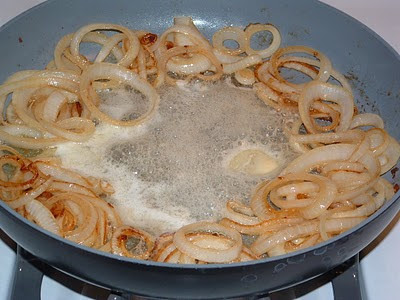 Dry onions well with paper toweling so they will caramelize. In a large skillet, melt 2 tablespoons butter. 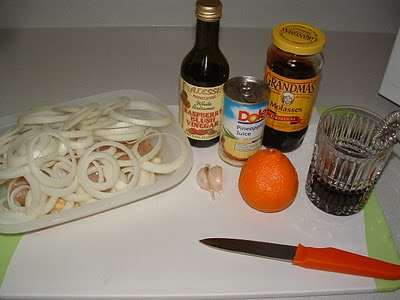 When hot, saute onions until translucent and browning. 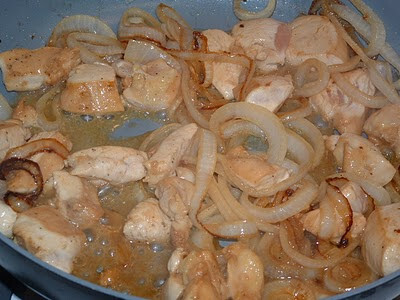 Push onions to the outer edge and saute' chicken pieces. 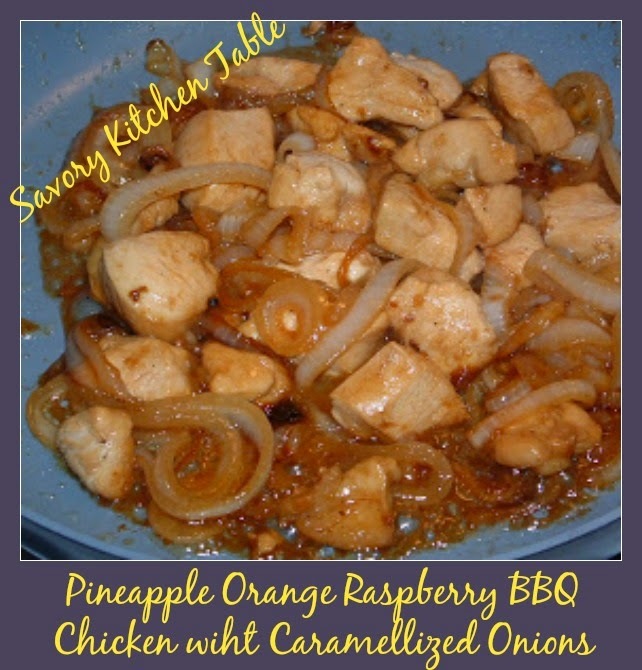 When chicken is a few minutes from being done, add in drained marinade and cook until thick glaze forms and the color caramelizes. Serve over homemade egg noodles. We love pasta around here and I have been trying to perfect a recipe. This is the best recipe I have found so far, but oh sometimes I think it's just easier to buy them. The price of the gourmet ones is still less than the cost of the ingredients and the mess I make in the kitchen! Then again the flavor of fresh homemade noodles is truly incomparable. Place 2 cups of the flour and salt in a large mixing bowl. With your hands or a wooden spoon, gradually mix all together until well blended. Gather into a ball and knead on a floured surface until smooth, about 10 minutes. Add remaining flour as necessary to prevent the dough from sticking to your hands or the kneading surface. Divided the dough into thirds. On a lightly floured surface roll each portion into a paper thin rectangle. Dust rectangle with flour to prevent sticking. Trim edges and roll up jelly roll style. Using a very sharp knife cut into 1/4 inch slices. Unroll noodles and allow to dry on paper towels at least one hour before cooking. Always add 1 tablespoon of oil to the cooking water for a better noodle.